In May 2018, the Fort Berthold Bridge Feasibility Study team hosted three public input meetings, in Mandaree, White Shield, and Twin Buttes. The meetings provided a project overview and several large scale maps for participants to review and encouraged public comments. In addition to the three public community meetings we hosted the Fort Berthold Technology and Innovation Summit at the 4 Bears Events Center on June 19. This event was another opportunity for the public to ask questions and learn more about the Fort Berthold Comprehensive Regional Transportation Plan, including the Bridge Feasibility Study and Public Transit and Ferry Plan. Several questions and answers have been compiled from these meetings to help address the primary questions about this project. What exactly is the Fort Berthold Comprehensive Regional Transportation Plan? The full Fort Berthold Comprehensive Regional Transportation Plan is a long range regional study and inventory of all transportation methods on Fort Berthold and the surrounding region. As such, the study includes a road inventory update; Bridge Feasibility Study for two bridges (one connecting Twin Buttes and Mandaree across the Little Missouri and one connecting White Shield and Twin Buttes or Mandaree; Public Transit and Ferry Service Plan; Aviation Plan; Electric Power Plan, Pipeline Plan, Highway Safety Plan, Rail Plan and Long Range Transportation Plan Update. The purpose of the project is to provide Tribal Leaders and Tribal Members and interested stakeholders with a fact based educational tool they can use to answer fundamental questions about how these vital infrastructure systems work, how they are regulated and managed, what they cost to build, operate and maintain, and how they contribute to the economy and quality of life of the region. With limited resources it is important to prioritize where and when these investments should be made and to identify as much external funding as possible. These types of project also require a lot of time for planning, environmental review, permits, staffing, and procurement. It is important for everyone to understand and have access to this information so sound decisions can be made in the future. As such, this is a Leadership Driven – Community Based effort to make strategic long range decisions for the benefit of the Tribe and the region. Most of the existing infrastructure on Fort Berthold was planned and constructed with little or no input from the Tribe and communities. Each of the study topics serves a vital function to the public with regard to public safety, access to jobs, healthcare, education, and commerce, and form the foundation for current and future economic development. This project reflects MHA Nation’s commitment to effective long range planning and an understanding that if the Tribe does not undertake this type of activity, nobody else is going to. What is the cost estimate for the proposed bridges? There are currently eight alignments (potential bridge sites) under consideration. Four of these alignments cross the Little Missouri River between Twin Buttes and Mandaree Segments. Four cross the main body of Lake Sakakawea with 2 connecting Twin Buttes and White Shield and 2 connecting Mandaree and White Shield. The cost of the Little Missouri alignments would be between $100 and $200 million each, and the cost for the alignments crossing the main body of Lake Sakakawea would be between $300 to $500 million each. These costs include the construction of roads to connect the bridge to the next paved road. 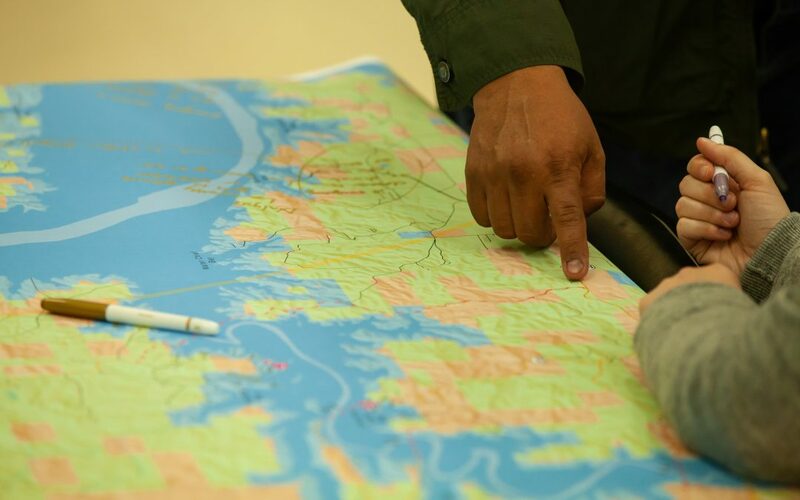 At this stage, no plans have been set to build; the study team is simply gathering all the facts and information about the need for additional crossings, the feasibility of construction, and what it would take to build, in order to provide tribal leadership with the information necessary to make an informed decision for the benefit of MHA Nation. How would a bridge project be funded? The purpose of the current feasibility study is to position the Tribe to be eligible for federal funds should they become available in the future. Some Tribal funds would be required, however the plan is to significantly offset the Tribal cost with federal funds. In order to be eligible for such funding, a comprehensive plan that positions a Tribal proposal for success must first be in place. With a well written plan in place, the Tribe is in a position to act if and when external funding becomes available. Would one or two bridges be constructed? 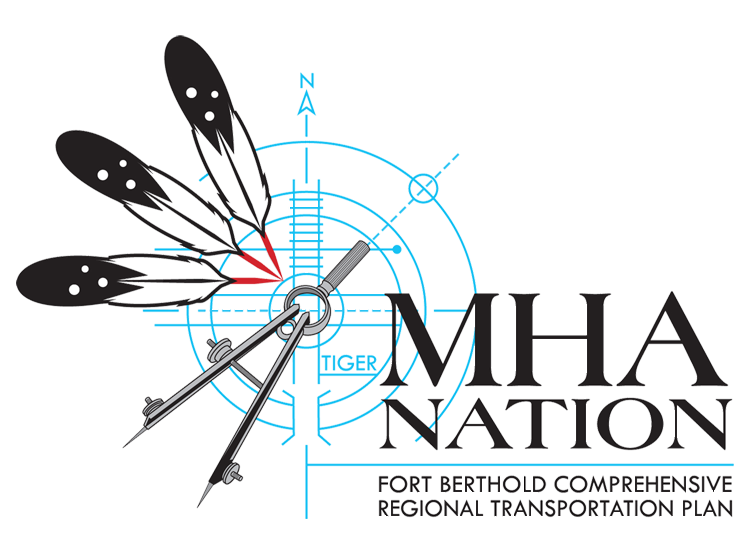 To best connect the communities on Fort Berthold, two bridges would be ideal. However, the study team has been looking at both two-bridge combinations as well as a single-bridge location that would provide the greatest benefit if funding can only be secured for one bridge. If the Tribes decide to build two bridges, construction of one would likely be completed before the second, and so it is also important to consider how each bridge alone would improve connectivity. How long would it take to construct one or two bridges over Lake Sakakawea? The next step of the process, should the Tribe decide to build one or both bridges and funding becomes available, would be to conduct more in-depth planning, complete the requirements of the National Environmental Policy Act (NEPA), acquire right-of-way, complete final design, and then advertise and award a construction contract. This project would likely have to go through an Environmental Impact Statement, which could take a year or more. Once approved the actual bridge construction would take approximately three years to build one bridge. In addition to the bridge itself, roadway approaches would also have to be constructed and connected to existing road systems. In addition to the team hired by MHA Nation Tribal leadership, a Technical Advisory Committee (TAC) has been developed for this component of the Comprehensive Regional Transportation Plan. The TAC is composed of Tribal officials, as well as representatives from state and federal regulatory agencies. The project team has also been working with state and county transportation departments. Who would be responsible for maintenance if this project is built? Maintenance of any facilities constructed as part of this project would be largely dependent upon ownership. Ownership has not yet been determined; however, the two most likely candidates for ownership would be MHA Nation or the North Dakota Department of Transportation. With ownership comes the responsibility to operate and maintain. Who will own the bridge? Ownership of the bridge is not known at this time. The two most likely candidates for ownership would be MHA Nation or the North Dakota Department of Transportation. Factors such as available funding sources and building and maintenance costs will be considered in determining ownership if and when the Tribes decide to move forward. What is the purpose and need of the project? The primary need that has been identified during project development is connectivity and access between the segments and between north central, western and south central regions of North Dakota. The limited number of crossings over Lake Sakakawea isolates the communities located throughout Fort Berthold. The purpose of this project would be to enhance connectivity throughout Fort Berthold by providing more direct travel routes between communities. Improved access and connectivity will produce opportunities for local jobs, economic opportunities, improved healthcare and education. What are the projected traffic patterns that will result from adding one or two bridges? The team has not completed any traffic studies yet; however we are working on developing a traffic model. While it is certain that any new crossing will impact traffic patterns, community input and careful design can help guide and mitigate these impacts. During the next phase of the project, if a decision to move forward is made, traffic studies and models would be completed for the necessary pre-engineering and environmental clearances. For more information on this and other components of the Fort Berthold Comprehensive Regional Transportation Plan, be sure to visit our website at www.fortbertholdplan.organd follow us on social media. This is a community-driven project, designed to prioritize the needs and concerns of the Fort Berthold Community. In order for it to be successful, we need your input!